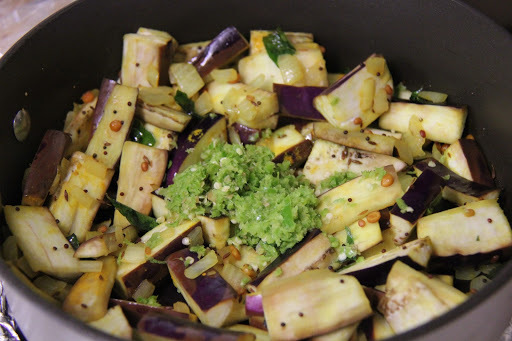 This one is a very ancient recipe you can only find in the most traditional kitchens of Andhra. Most traditional Andhra curries are characterized by a spice powder or a ground paste of spices added to the vegetable to amplify its taste. These powders add an element of texture,flavor, color or taste to the dishes they are added to. 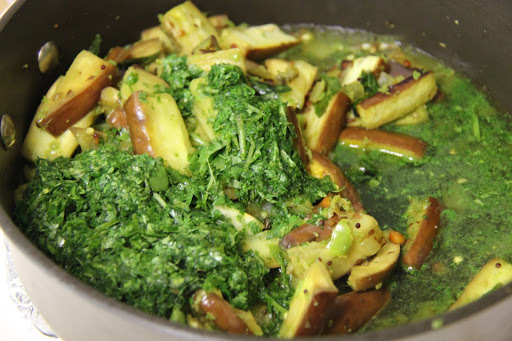 I got this recipe from my grandmom and is a composition of sautéed eggplant coated with a ground paste of ginger,coconut and Cilantro. 4 Cups Eggplant, chopped lengthwise. 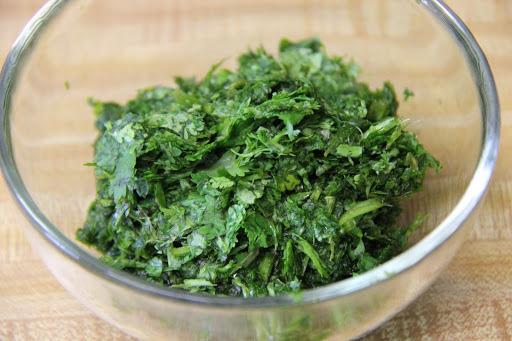 1.Grind the Coriander leaves into a paste and keep aside. 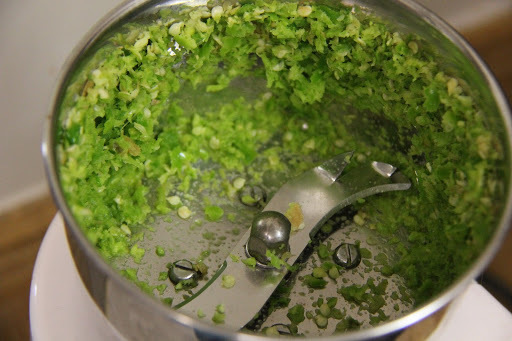 2.Grind the ginger and green chilies and keep aside. 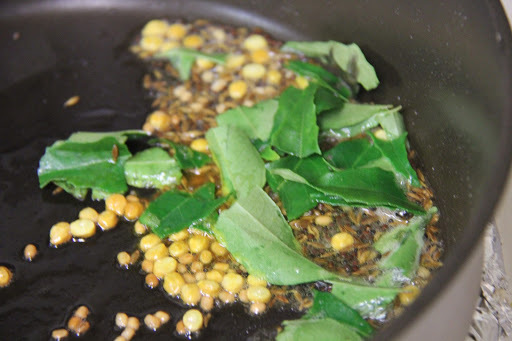 3.Heat the oil in a pan, add the chana dal, urad dal and roast until they turn light brown.Add the mustard, cumin,turmeric and curry leaves and let splutter. 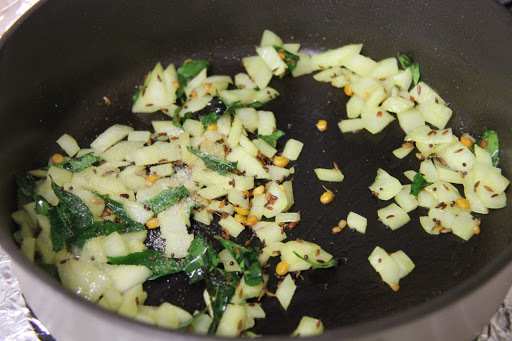 4.Add the onion and saute for 2-3 minutes. 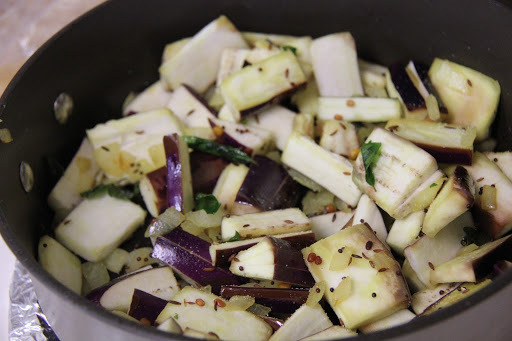 5.Add the eggplant and salt, cover with lid and cook on medium heat until the eggplants are half cooked. 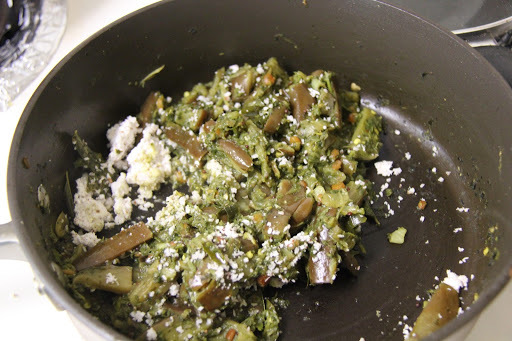 6.Add the green chili ginger paste and stir for 2-3 minutes. 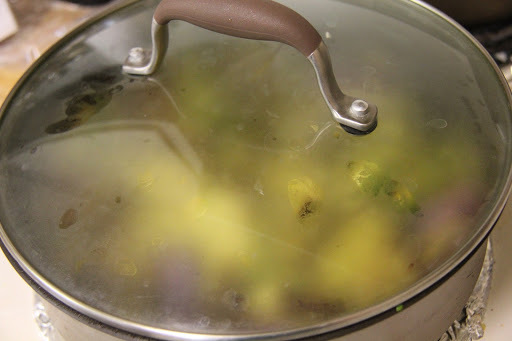 8.Add coconut, stir for 2-3 minutes and turn off the stove. Can be served with rice or roti. If you like this post and would like to see more such posts please like our facebook page given below and don’t forget to hit the follow link.